We are a very passionate team of young individuals who found a way to give you control of lighting your ambiance, the way you want it. Our goal has always been to find a way to enhance modern technology that is fun, social, and life changing. Both founders have started other successful companies in area’s that reflect our movement in fields such as technology, hospitality, concerts, however this is our brightest idea yet! Sharing our vision through our products is not our only goal, this company will allow us to give back towards our community in a number of ways. We are empowering our members to donate a portion of their purchase towards a charity of their choice through our, “Shed Light” initiative. Join us as we embark on a journey to bring lights to life. Dock lights cordially welcomes our nautical lighting and nautical décor customers to one of the most tremendous nautical lighting sites in the world. Scroll through our extensive Houzz list of projects. Furthermore, go on line and look at our updated nautical lighting categories, which feature dock lights, Key West nautical style lighting, nautical décor, ship salvaged lights, one of a kind nautical items, as well as, our custom fabricated aluminum wharf pole lights. Dock lights have been the leading nautical light and dock light supplier for almost 14 years with the same owners! We are one of the few nautical lighting companies that actually carry an extensive nautical light inventory. Dock lights encourages nautical lighting consultants, nautical lighting designers and we even offer discounts to the trade. Please call us. We want to help with your nautical themed project. VIVA LED focuses on creating the best lighting experience and serving you all over the country and other markets in the world. we will keep our honest promises to provide the best service with our High quality products. Day One Lighting is a leading lighting technologies application and integration firm. With over 25 years of lighting design and systems integration experience, we offer professional services from project concept to completion. Our staff includes a Florida Registered Interior Designer and LEED AP with extensive experience in construction practices and project management. LED technology has changed the lighting industry and provides opportunities that were not possible in the past. As with any evolving technology, there are innumerable new and innovative products available. We pride ourselves on product and application knowledge and are here to assist you realize your project goals. 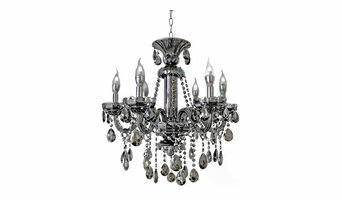 At South Dade Lighting, we offer retail and wholesale lighting at a great price. Visit our showroom to see more examples of our wide selection of lighting. You will also find a staff of friendly, qualified lighting specialists that are ready to assist you in finding the right lighting for your home. At-home landscape lighting consultations are also available. Think about how you plan to use each area of your Sunny Isles Beach, FL home. It's important to communicate to your Florida lighting designer which space will be used as an office and which will be a media room, for example, as these will require very different lighting methods. In addition, consider how you'd prefer to control the lights. Lighting technology today includes dimmers, sensors, photocells (that let lights react to the amount of daylight in a space), programmable scene controls (that let you program different settings for varied lighting) and whole-house lighting controls (that let you control all or a portion of your home's lights from one source), allowing you to tailor your lighting controls however you wish. Find a lighting designer on Houzz. 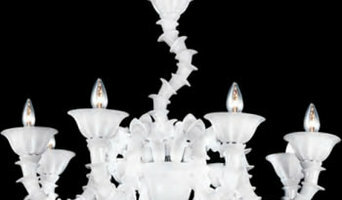 Narrow your search in the Professionals section of the website to Sunny Isles Beach, FL lighting designer. You can also look through Sunny Isles Beach, FL photos by style to find a lighting design you like, then contact the designer.